Ahoy! Join the Knickerbocker Chamber Orchestra on Maritime Day for a lively concert of classical seafaring tunes. Belinda Whitney has been concertmaster of the Knickerbocker Chamber Orchestra since its founding in 2008. The KCO was honored to have former U.S. Attorney Preet Bharara join us on stage at the Feb. 10, 2018 Renaissance & Renewal concert. A few days later, Mr. Bharara reflected on his performance with the Knickerbocker Chamber Orchestra at the conclusion of his weekly podcast Stay Tuned With Preet. 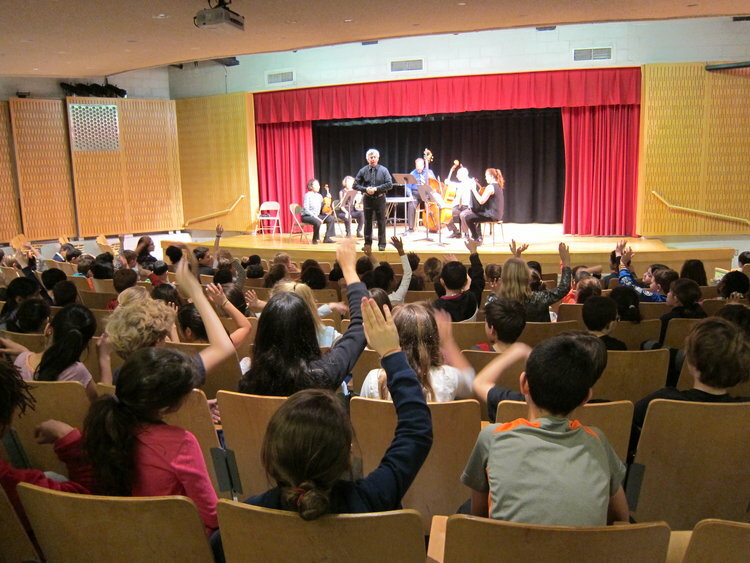 The KCO brings music into New York City schools. Thanks to generous funding from Goldman Sachs, the KCO brings innovative, interactive music programs, free of charge, into New York City schools. In 2019, the KCO will be bringing "Wonder Women of Classical Music!" into Lower Manhattan public schools. Featuring an all-female ensemble of the KCO's finest musicians led by the KCO's esteemed concertmaster Belinda Whitney, the program will showcase works by classical women composers and exciting contemporary women composers. If your school is interested in hosting a 35-minute KCO presentation of "Wonder Women of Classical Music!" in February or March 2019, please contact Alison Simko. In 2018, the KCO teamed with Manhattan Brass for "Blast Off with Brass," and blew the socks of kids all around Lower Manhattan. In 2017, the KCO guided young listeners deep into what it takes to create, perform and appreciate a masterpiece with "Why Mozart Matters!"